Screen mirroring apps help you to create the exact replica of your mobile screen on your laptop or computer. You can conveniently enjoy games, videos, photos and other application on a comparatively bigger screen. Without needing to transfer anything from your smartphone to laptop, screen mirror applications enhance the usability and availability of Android and iOS data on varied devices. Screen mirroring application can help you to control your smartphone or handheld gadget through a big screen laptop or computer. Moreover, there can be instances when the battery of your smartphone is not up to the mark. In such a scenario, you can link up all the applications, videos and images on a laptop and enjoy everything while letting your smartphone get charged. In the same way, you can mirror your PC or laptop to the smartphone. Even you can control the PC or laptop from your Android or iOS device. Isn’t it good feature? If you are outside and want some files from your PC or laptop then screen mirroring app is the best way to do this. 1 How does the Screen Mirror App actually work? How does the Screen Mirror App actually work? Mirroring applications for smartphones help you to stream all the media of your tiny gadget into a bigger screen. Even if you are not a technological geek, you will understand the workability of mirroring applications the moment you install them. Mirroring application is the best solution for sending all the data of your smartphone on a laptop or computer without using any wired connection. Screen mirror apps are also called screen casting apps. 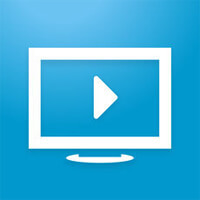 Media streaming refers to a particular content that you view on a big screen. The perfect example of media streaming includes YouTube videos, Netflix TV shows, and television display. Most smart TVs now come with mirroring feature. So, you can screencast your iOS or Android device to the smart TV. While you enjoy touch content of your smartphone on a laptop or computer, simultaneously other applications can be used dissimilar to normal circumstances. We have listed the top 10 best screen mirroring apps for Android and iOS (iPhone/iPad) users. So, check these screen mirror apps and enjoy mirroring your screen. How about downloading a mirroring application that is owned by Google LLC? Google has always produced astounding IT Solutions. Therefore, when it comes to using the mirroring application from Google, you get everything expected. There is absolute privacy, security, and user-friendliness. Simply set up remote access using the application in your PC and replicate the contents of your handheld gadget. You can connect many computers with your Android or iOS device. 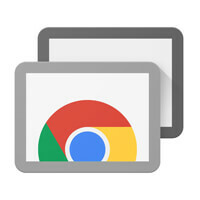 You need to install chrome remote desktop extension on your chrome browser and chrome remote desktop app in your preferred device. That’s it! Try it now. Controlling your Chromecast through a smartphone becomes much easier once you have Google home in your smartphone. Simply install the application in your Android or iOS Smartphone and access lot many videos and content with the help of sound internet connectivity. Google home has convenient settings for customizing Chromecast setting. For instance, you can alter the name, volume and change the timings of Chromecast via Google Home app. 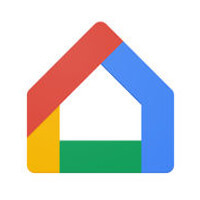 So, Install Google Home and control your home with just single app. 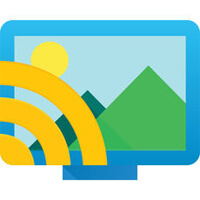 Compatible with all the operating systems, LocalCast for Chromecast is the application that helps you to view the content without any wires or cable networks. You can mirror the screen of your Android or iOS device to AppleTV 4th Gen, Chromecast, Nexus Player, Amazon Fire TV, SmartTV, Sonos, Xbox 360, Xbox One or other DLNA devices. This screencasting app works with Kodi also to enjoy media on the TV. The most amazing feature is you can easily add subtitles if you are using chromecast or Apple TV4. Install this top casting application to your smart device. Nobody can deny the fact that Microsoft Remote Desktop is one of the best screens mirroring application that you can go for. It is equally supported for iOS and Android users so that you can connect your smartphone with the laptop without facing the slightest of glitch. The standalone application protects your data and comes up with multi touch option for more convenient operability. Additionally, you can enjoy video and audio streaming within the application for exaggerated user experience. Most of the people use it for working remotely from a different place. Check it if you think this app can fulfill your requirements. Lately, Samsung has been launching one after other smart applications for creating a better customer base. Therefore, when it comes to mirroring the screen of your smartphone, Samsung Smart view is a great option. The application provides a smart viewing experience by encountering any kind of interruption and disturbances. Look out for your favorite television shows and permanently enjoy them on Samsung SmartTV via any Android or iOS gadget. It works as remote of your Samsung SmartTV too. So, If you have Samsung SmartTV that supports screen mirroring then you should go for the Samsung Smart View app. 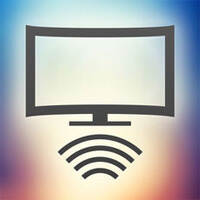 To play video and music instantly to any connected TV screen or audio system, iMediaShare photos and music is an intuitive mirroring application. It has settings to adjust volume, videos, and playback with the intuitive touch screen gestures. The comprehensive interface helps you to synchronize your videos and other data of your smartphone on a bigger screen with all the convenience. It has a dedicated button for the protected user experience. It supports most Internet-connected TVs by Samsung, Sony, LG, Philips, Panasonic and also Xbox 360, Xbox One, Dish Hopper, Apple TV. 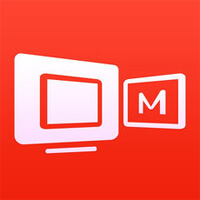 So enjoy photos and videos on the big screen with this great screent mirroring app. 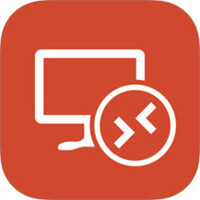 One of the most famous mirroring applications for iOS and Android users allows you to create a remote desktop connection and view everything your smartphone has on a bigger screen. It is particularly used by professionals who need to have the final look of their presentations, contents, and videos. 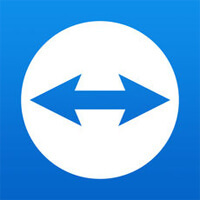 TeamViewer is a handy application for providing the best work quality to your client and customers. You can access documents, files, and other vital data apart from applications, images, and videos. Multi-monitor support helps you to showcase the same content of your smartphone on more than one computer/ laptop. Moreover, you can view and manage your computer or laptop remotely through your iPhone or Android smartphone easily. So, check out TeamViewer right now. Yet another transformational application that converts a smaller screen into a big one. 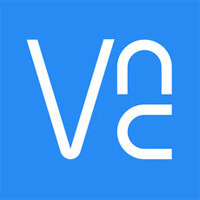 Luckily available for both Android and iOS users, VNC viewer can never let you down with enormous security facility. Instead of using exhausting and tiring mirroring applications that don’t work or put you on unsafe circumstances, use VNC viewer and remain peaceful all the while. For professional users, the paid version is available with extra features. You can easily access Windows or Mac system remotely and work from your iOS or Android device. So download this top remote desktop app on your smart gadget. One of the most user-friendly mirror applications for iOS and Android. This cool mirror application is useful for enjoying videos, accessing photos, movies and multiple applications simultaneously. Apart from getting connected with PC or laptop through your smartphone, Apower mirror gives you an option to replicate the content on others handheld devices. In other words, you can access the same content of your personal phone on different gadgets with the impeccable application. Here, you can also record phone screen, send messages using your pc keyboard, and can see most of the notifications on your computer. Even you can transfer files via wifi between computer and phone, write or draw on a whiteboard, remote control PPT on windows PC. 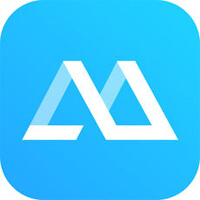 Yet another popular mirroring application that helps you to connect your smartphone with Fire TV, Apple TV, Windows or Mac PC through QR code or mirroring ID. First of all, install mirroring 360 on your Android or iOS device and then you will be able to replicate the content by synchronizing the mirroring application on both the devices. Mirroring 360 also helps you to mirror your PC/Laptop screen to another PC/Laptop, Mac or Android/iOS device. Enjoy the free and paid version for different features. Selecting the best screen mirroring application can be somewhat apprehensive. 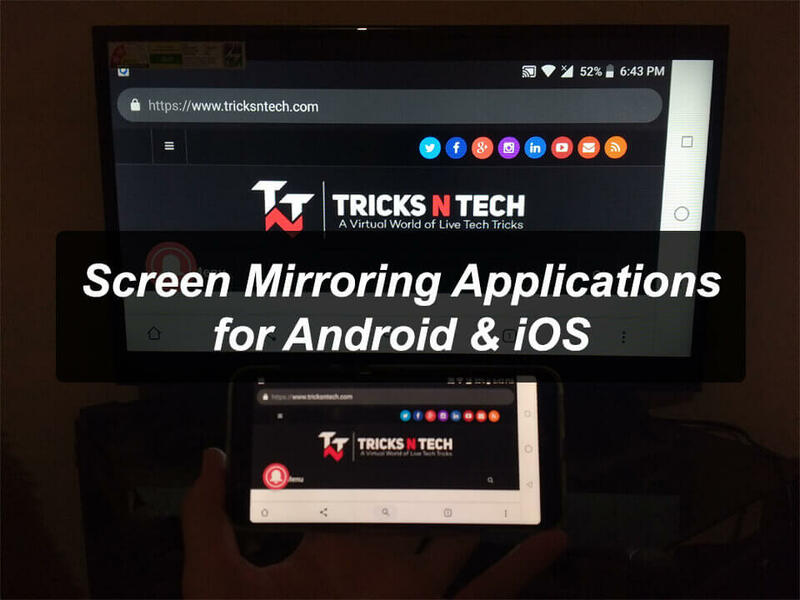 However, with our amazing list of best screen mirroring apps for iOS and Android, your effort has been channelized towards the correct direction. Let’s know which app attracted you more? If you have any query then feel free to comment it below. Share these top screen mirror apps with your friends.